Jon ,Danish Settler, works with his brother Peter to hunt and trap animals for a living. He has made enough money to bring his wife and son from Demark to America. On the way to his brother’s house, two criminals start to assault his wife in carriage and kick Jon out of a moving carriage He follows the carriage’s trail discovers his son has died and along with his wife. He kills the two men and buries his family with the help from his brother. The nearby town is protected by a outlaw gang leader named, Delarue, and seeks harsh punishments towards the town and its people because of his brother was killed by Jon. 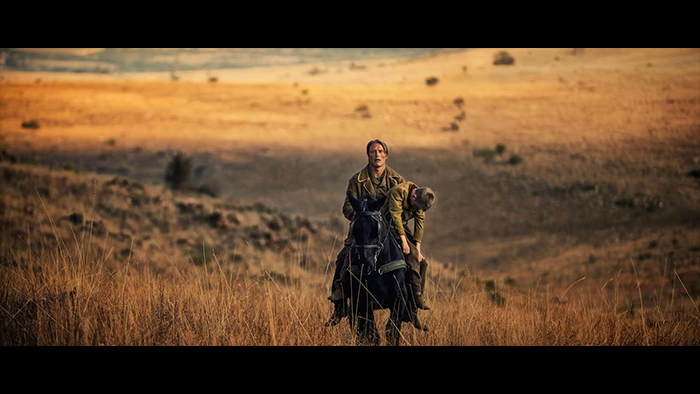 The film catapults into a gritty revenge westerner with a lot of action, tension, and emotion. The acting was the best part of the film. Mads Mikkelson plays a great vigilante that the audience can root for. Jeffery Dean Morgan plays a great villain. 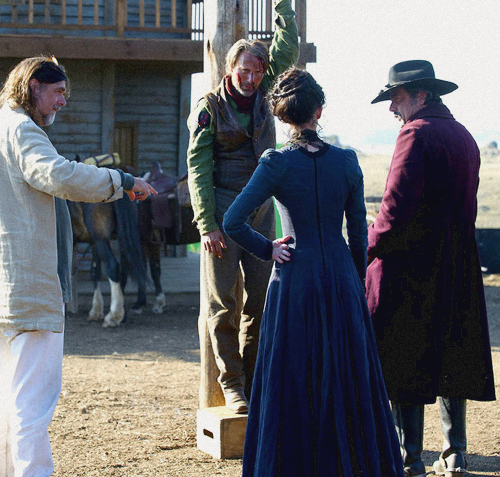 The two men carry the film along with Eva Green. Green’s character can’t speak and has been raped repeatedly throughout her life by Indians, Delarue’s brother, Delarue’s gang, and Delarue himself has taken advantage of her. Her story and character provides great twists and turns in this western thriller. Mikkelson and Morgan really carry the film. Mikkelson is a silent killer while Morgan shows great joy in killing someone. Kristian Levring deserves a ton of recongination too. The cinematography was great with the sounds of the setting, the smallness of a town in 1870, and the weather. One shootout scene was filmed in the rain and it was a dark and gritty setting. The tone remained the same through the film. It was a dark vengeful action westerner. The film was never meant to a fun western like Django Unchained or the Magificent Seven is. The tone felt like I could be watching a big screen adaption of Red Dead Redemption. 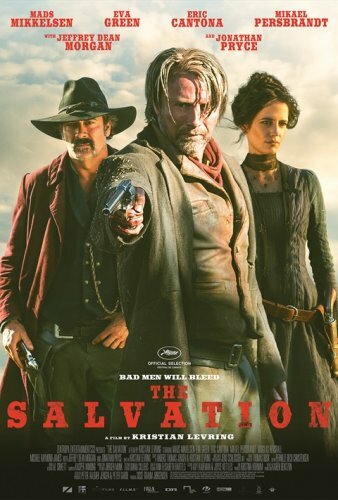 “The Salvation” is truly a throwback of one vs. an outlaw gang. I give it a 4 out of 5 for the tone, cinematography, action, acting, and plot. The score was so cliché.